Cumbria CVS is working with the Northern Cancer Alliance to support the roll out of the Macmillan Recovery Package. We have been granted additional funding from April 2019, building on the project we have developed over the last 12 months. A cancer diagnosis can affect anyone at any age and can impact many aspects of a person’s life. The focus of recovery from cancer will be always be on the best possible medical care and treatment available. However, supporting people to overcome the many challenges they face on their cancer journey will also have a positive impact on recovery. To provide the appropriate support for these challenges, Macmillan Cancer Support has developed the Recovery Package to help ensure that all cancer patients have equal access to all the support they need. This includes a Holistic Needs Assessment (HNA) which results in a personalised care plan that addresses all needs, going beyond the clinical care available and aiming to support people throughout their cancer journey and into living life beyond it. Living with and Beyond Cancer is an initiative funded by the Clinical Commissioning Group (CCG) on behalf of the Northern Cancer Alliance. 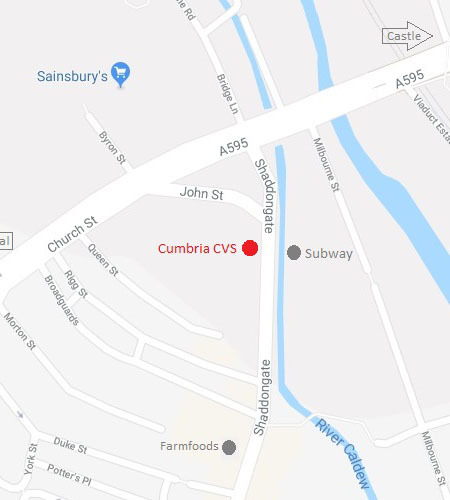 The aim of the initiative is for the Cumbria CVS, that is working on behalf of the National Health Service (NHS), to provide support to trained volunteers throughout Cumbria to enable them to support and signpost those individuals who have agreed to take part in this initiative. Our project focusses on partnership working with colleagues in health and the voluntary sector in North Cumbria to make care more integrated with direct links through to wide variety of support provided by the voluntary sector. We want people with a cancer diagnosis not only to have the best clinical and psychological care but also access to the rich variety of support from the voluntary sector, helping people with cancer overcome the many challenges they may face. If you would like to volunteer for this project we are currently recruiting volunteers, please see the Do-It website. Why do we want to keep your personal data? The CVS and our volunteers believe that this will enable us to offer you a better service and avoid you having to repeat things if you choose to contact us. What is our legal basis for using your personal details in this way? We are asking for your consent to do this. You don’t have to give it and even if you do, you can withdraw your consent at any time, and we will remove all details from our records. Who will we give this information to? Only CVS staff and volunteers who are working on this initiative will see this information, and then only when absolutely necessary. We won’t pass your information to anyone else. We will hold your personal information until 31st March 2020, when we will destroy it. This is when our contract with the CCG and NHS ends. If the contract is extended for any reason we will let you know. You have already given your verbal consent for Cumbria Council for Voluntary Service (CVS) to keep your personal details and record of any discussion between you and our volunteers. You can ask us for a copy of the personal information we hold about you at any time. For details on how to do this and learn more about how we value and protect your personal data please read our main privacy notice here.